Thanks for posting! I would be happy to help you with importing your contacts. 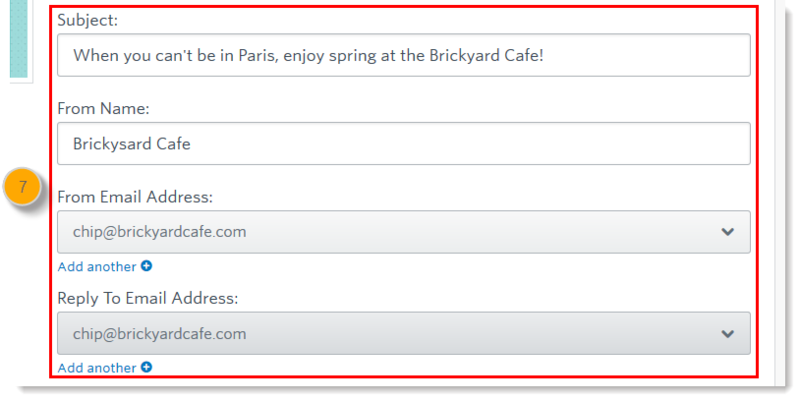 Constant Contact imports your contacts into email lists. You can then schedule your campaign to the email list. From the Campaigns tab, click Draft to narrow your search. 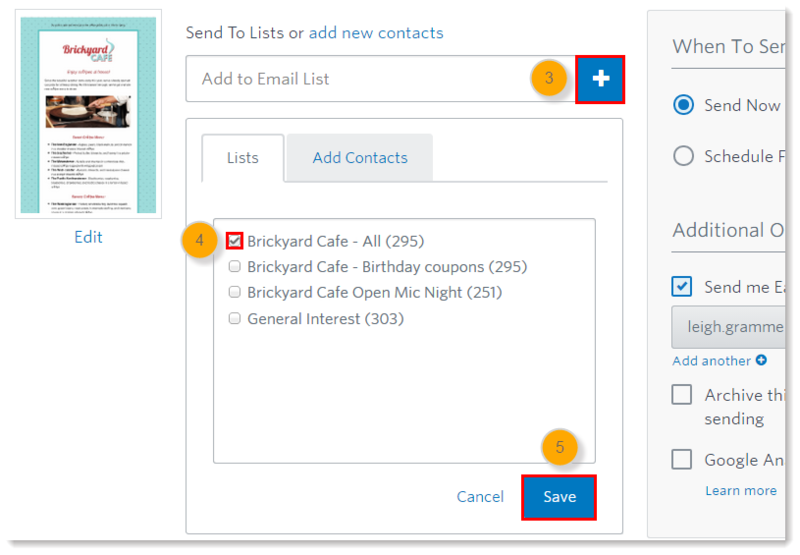 Find the email campaign you want to send and click Actions > Schedule. 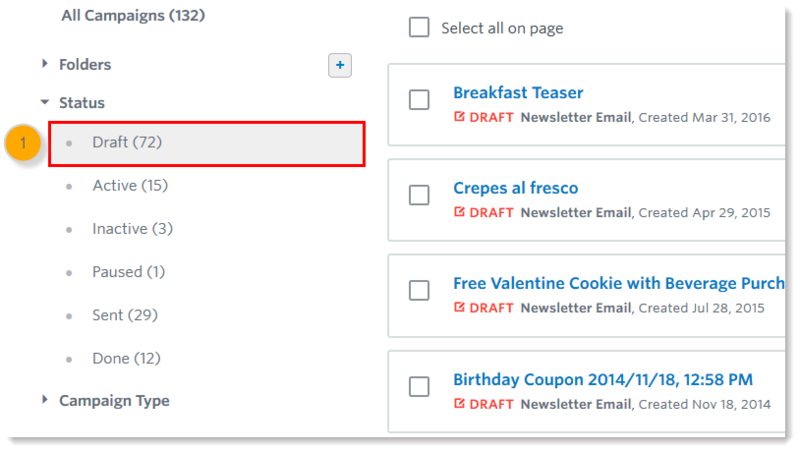 Select the lists you want to send your campaign to. Send Now - To immediately place your campaign email in our mailing queue. Your email will typically go out within a few mins. 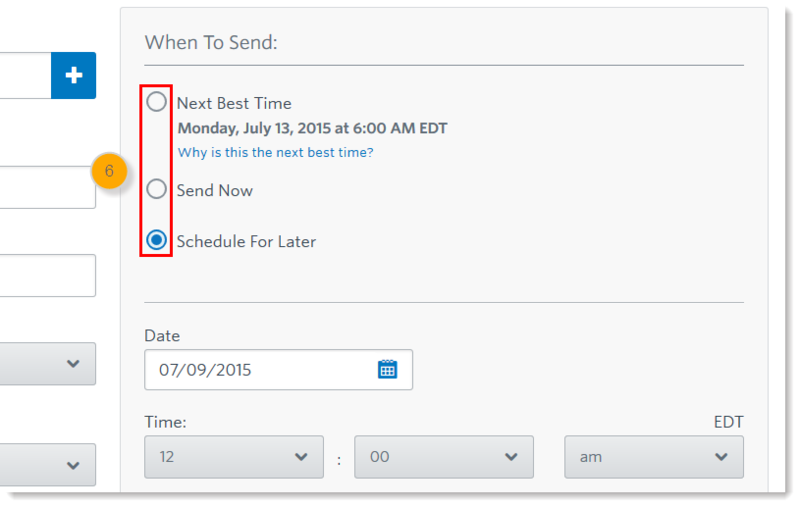 Send For Later - To select a date and time for a future delivery date up to a year in advance. Note: During the Free Trial, scheduling is limited to the same day only. Update your subject line, from name, from email address, and reply to email address as necessary. Click Schedule to send your campaign email. 1st time user. How do I upload contacts from "contacts" on my mac computer? Hello @KenA754. Welcome! In order to give you the right assistance, I have to ask where you will be getting your contacts from. It is through Apple Mail, Outlook, or maybe an Excel file? Please let us know and we would be happy to help you upload your contacts!